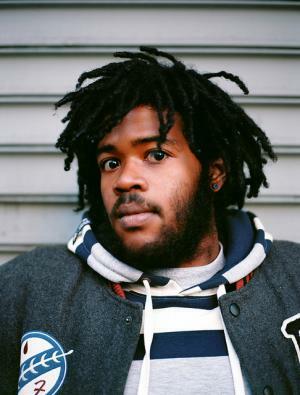 Born Courtney Jamal Dewar, Jr. on the 7th July 1993, in Brooklyn, New York City USA, he was a rapper, and record producer, best known under the name Capital STEEZ. He came to prominence as a founder of the rap collective Pro Era, with Powers Pleasant, among other accomplishments. Unfortunately, his budding career was cut short in 2012 by his own hand, when he committed suicide by jumping off the roof of the Cinematic Music Group headquarters in Manhattan’s Flatiron District. Have you ever wondered how rich Capital Steez was, at the time of his death? According to authoritative sources, it has been estimated that Steez’ net worth is as high as $100,000, earned through his short but quite successful career, active from 2009 until 2012. Of Jamaican ancestry, he had a tough childhood, as his father passed away when he was only three years old. He went to Public School 222 Elementary School in Brooklyn, where he started his first rap group, alongside Jahkari Jack while in his fourth grade. After elementary school, Steez went to Edward R. Murrow High School, where his rapping crystalized, and it was already known that Capital Steez would become a successful rapper. In 2009, Steez took his rapping to the next level, as he and his friend Jakk the Rhymer released the mixtape “The Yellow Tape”, under the name 3rd Kind. Two years later, he started the rap collective Pro Era, with Power Pleasant, and soon Joey Bada$$, and CJ Fly joined. As a part of Pro Era, Capital Steez worked on two mixtapes – “The Secc$ TaP.E.” and “P.E.E.P. : The aPROcalypse” – which certainly increased his net worth. His debut solo release came out on the 7th April 2012, entitled “AmeriKKKan Korruption, and featuring 14 tracks, but in October the same year, the mixtape was re-released with seven additional tracks, entitled “AmeriKKKan Korruption: Reloaded. Since the release, both mixtapes received much attention from the public, which added a considerable amount to Capital’s net worth. Unfortunately, his career came to an end, along with his life, when he committed suicide. His death spawned many controversies and conspiracy theories, such as the Illuminati ordering his death, and that he did not die but ascended, due to his spiritual life. Young Capital considered himself an Indigo child, and thought of himself as a being of a higher dimension. Since Capital’s death, his friends and colleagues, mainly Joey Bada$$, started working on collecting Capital’s unreleased material, and announced a studio album – “King Capital” – which was expected to be released in 2013. However, until the present day, the album remains unreleased, mostly because of problems with the legality of tracks, and samples used for the album. Nevertheless, Capital Steez memory lives until present day through the “STEEZ Day Festival”, held annually on Capital’s birthday, 7th July. When it comes to Steez’s romantic relationships, there is nothing in the media as he has kept a low profile. However, other aspects of his life have come to attention, including his obsession with number 47.